Wednesday is normally our Celebrity Moves day here. And this week the focus is on Frank Gehry, the celebrity architect recently labelled by Vanity Fair as “the most important architect of our age”. 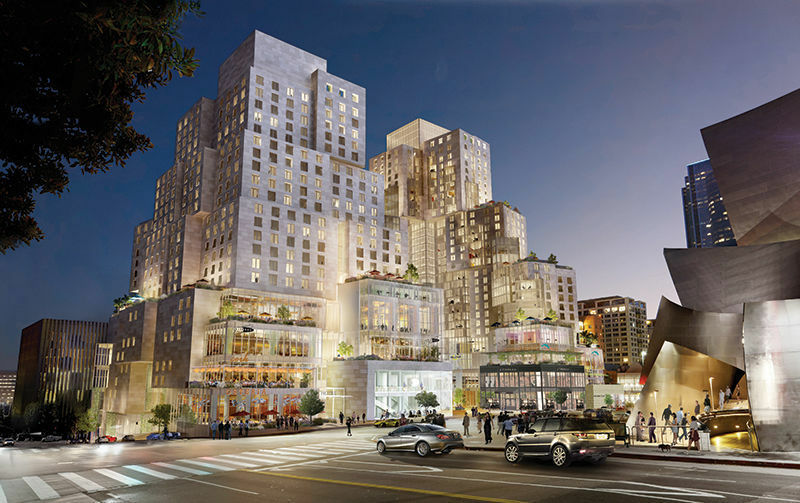 The long awaited Frank Gehry project, The Grand, breaks ground this month in DTLA with an expected completion date of 2021. Mr Gehry is world-renowned for his works of contemporary architecture. The Walt Disney Concert Hall right here in LA is one such example among other iconic structures that include 8 Spruce Street in Lower Manhattan and the titanium-clad Guggenheim Museum in Bilbao, Spain. You can be sure that the mixed-use residential, retail and entertainment complex on Grand Avenue in downtown will be one more great addition to the ever-more- interesting LA skyline.